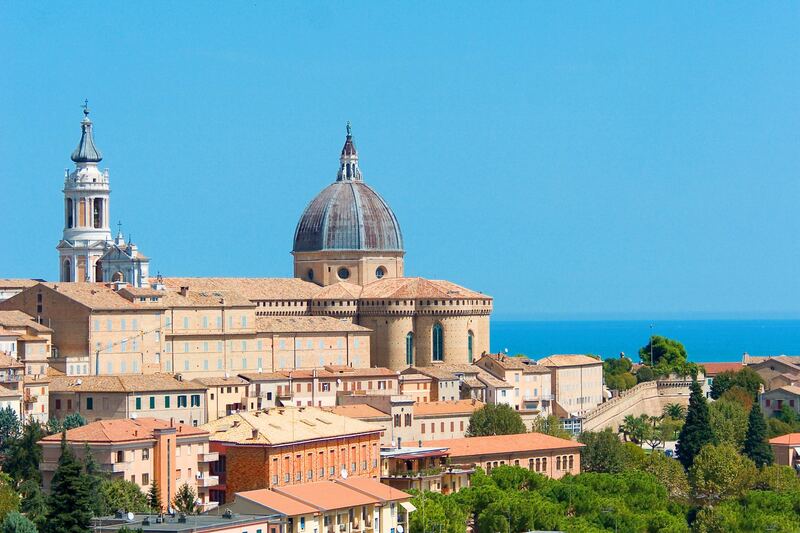 A journey to some of the most important cultural sites in Marche Region: Urbino, Macerata and Recanati. 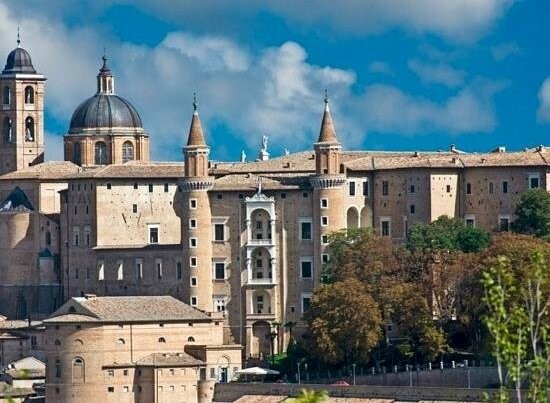 Urbino is the most important Renaissance example in our Region, Macerata is well known for its opera festival and the open-air theatre, while Recanati is the home-town of the famous Italian romantic poet Giacomo Leopardi. The cultural experience will be enriched with culinary experiences! 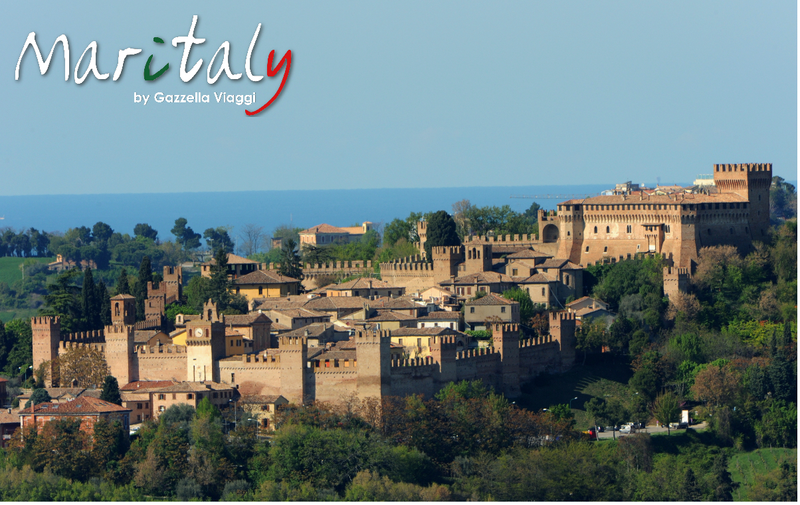 VISIT CASTLES AND TOWNS WHERE LEGENDS AND HISTORIES ARE STILL ALIVE: AS GRADARA AND RECANATI. FLEXIBILITY TO MODIFY PROGRAMS AND SERVICES UPON YOUR NEEDS. DAY 2: Breakfast and the tour begin from Urbino. A town that is the pride of Italian Renaissance, and the birthplace of architect Bramante and artist Raffaello. Its Palazzo Ducale, the jewel of Italian Renaissance, which has been home to the National Gallery of the Marche region since 1912. Urbino is also the birthplace of Raffaello and it hosts the Academy of Raffaello, countless churches each of significant importance, as well as the Fortress of Albornoz. In the afternoon come back to the structure where you will be guide in an wine experience with organic wine produced at the farm with some experts. The visit begin from the vineyards, where you can see the various local and international cultivars growing: Bianchello, Sangiovese and many others. Than you will move back indoors into the tasting area where you will be invited to enjoy the local wine. DAY 3: Breakfast and begin you morning with the suggestive jewel of Mondaino village. 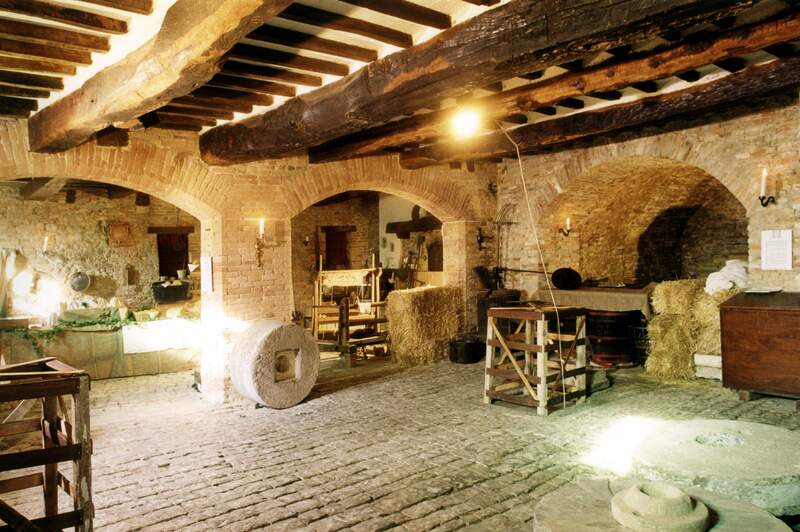 The cheese makers of the ancient mill will welcome you and show you how to make the “Fossa Cheese” (a delicacy of this area) than the experience goes on with a food tasting. 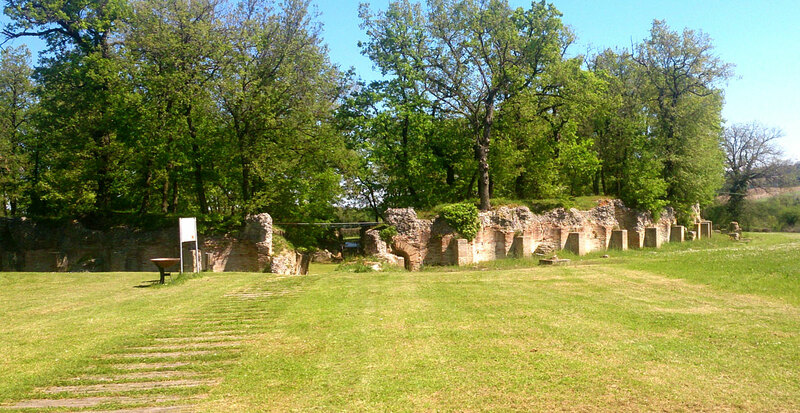 The tour continues in an extraordinary urban and architectural combination: Gradara. Discover the tragic love story of Paolo and Francesca caught in each other’s arms and killed by Francesca’s husband. The tour continues with a wine experience in Morro D’Alba in an old winery-wine estate that has been producing wine for over 150 years. Here you can taste Lacrima di Morro, the local wine production. In the evening arrival in Recanati and check-in at the hotel. DAY 4: Breakfast and discover by yourself Macerata. 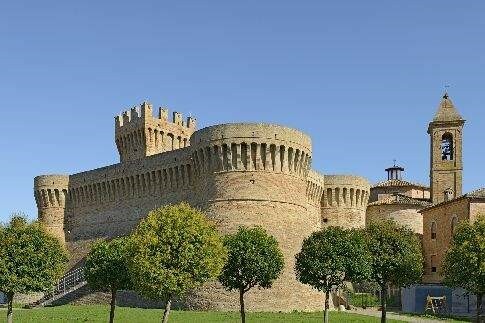 It is a lovely town with different monuments to visit inside the historical center (begin from Piazza Libertà) and the medieval city walls. 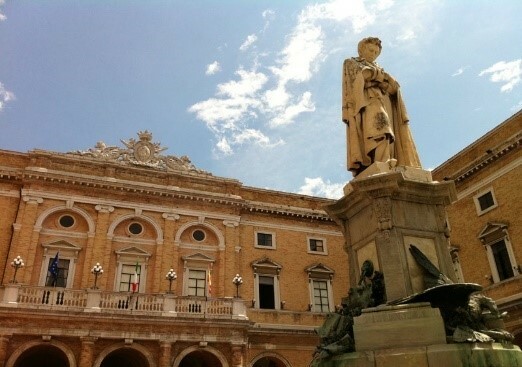 In the city center it is also possible to visit the Arena Sferisterio, the symbol of the city, famous for the Opera Festival. The tour continues with Urbisaglia Village. 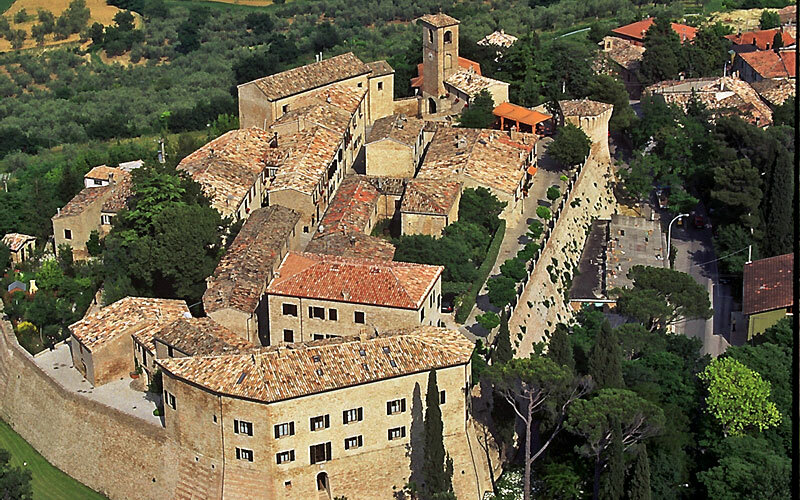 Located in a panoramic posistion in the Fiastra River Valley, the village has important proofs of the XVI century. Urbs-Salvia was the ancient name of the village it has different roman archeological remains and monuments as the amphiteather. Come back to the hotel in Recanati. DAY 5: Breakfast and discover by yourself the village of Recanati. It is located on a suggestive hill and here was born one of the most important romantic Italian Poet: Giacomo Leopardi. Beginning from the historical center in different points of the village you will see different monuments and references to him as: “Colle dell’ Infinito”, The house of Leopardi and many others. Than the tour continues to Loreto with hire car driver. This city attracts every year visitors from all over the world with the Holy House. It is decorated outside with an important marble sculptural group of the Italian Renaissance (a work by Donato Bramante made on the model of "Ara Pacis" in Rome). In the afternoon you will be guided by an expert inside a local winery in Castelfidardo Countryside to discover the history of the family company and the winery. 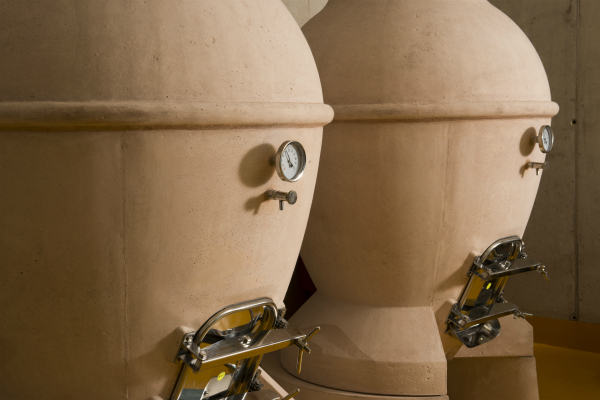 You will have the opportunity to see the winery from the cellar to the room of wine reefing. 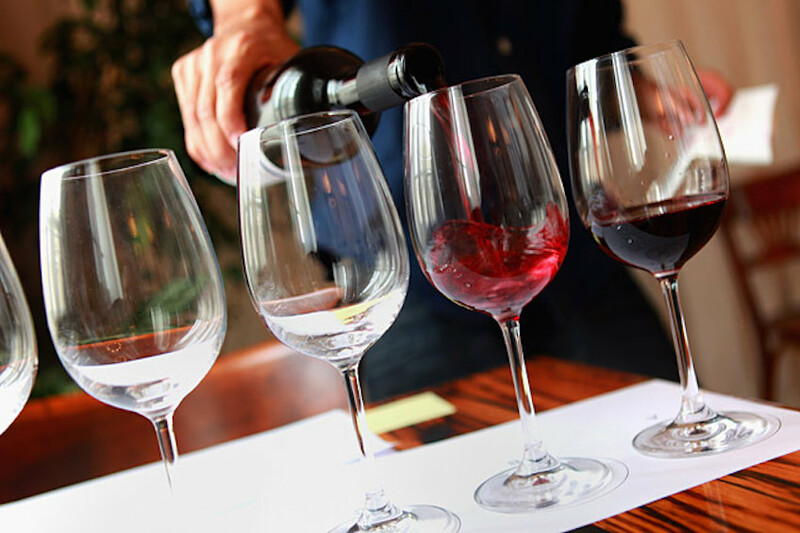 Following is a wine and food tasting with typical products! Come back to Recanati to the hotel. DAY 6: Breakfast and end of services. ON REQUEST: Transfer and transport (rent car, hire car driver, coach car rental) organize guide tours, request tour leader on site, add excursions like trekking activity on Conero Coast or sail boat tour during the summer, increase the tour with other experiences (yoga, trekking, sailing boat tours, cooking classes).